Please note - Saturday mornings are pre-bookable appointments only. Keyingham is open on a Tuesday 2.00 - 6.00pm for dispensing medicines only. Surgeries are booked at 10 minute intervals. 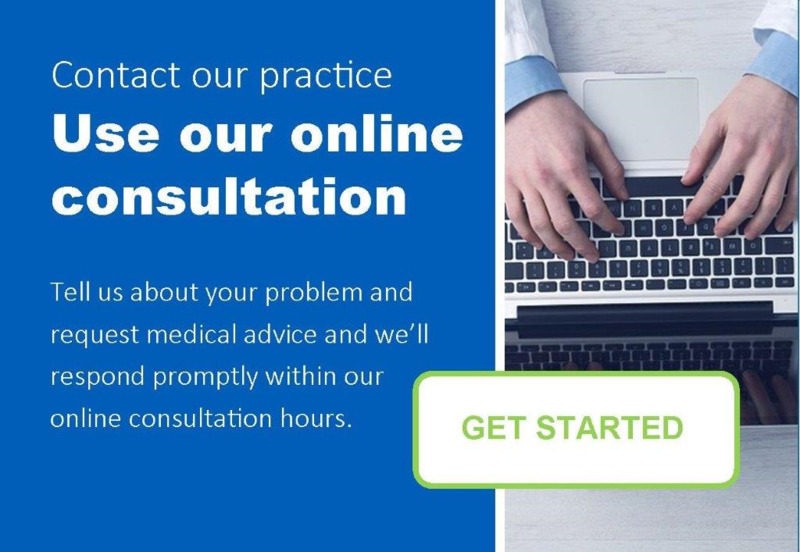 If you have more than one problem to see your GP about please mention this when you book your appointment. You will then be offered a double appointment where possible. Morning surgeries run on a Monday from 9.20am – 12.00noon and on a Tuesday to Friday from 8.30am – 11.00am. Afternoon surgeries on a Monday to Thursday run from 3.00/3.30pm – 5.40pm and on a Friday 2.00pm – 4.00pm. On a Monday morning the appointments available are book on the day only and are for non-routine problems that have occurred over the weekend. We operate an open surgery on a Friday as detailed below. Morning surgeries run on a Monday from 9.40am – 12.00noon and on a Tuesday to Friday from 8.30am – 11.00am. Afternoon surgeries on a Monday and Thursday run from 3.00pm – 5.40pm. The surgery times of the GPs for both surgeries may vary depending on holidays, study leave and teaching commitments. For urgent problems when the surgery is closed please telephone the out of hours service on 111. There are a number of different types of appointments available each day. The GPs would like to discourage patients from waiting outside the front door/gate at Hedon in a morning, especially during the winter months. Due to health and safety reasons we are unable to open the surgery front doors until 8.00am. The majority of our appointments can be booked from 8.00am Monday to Friday. Please call early if you wish to see your regular doctor or if you require a particular appointment time. If you have more than one problem please consider booking a double appointment or prepare to come back another day to discuss further. This will enable your doctor to deal with each problem fully and for surgeries to run on time. Also give consideration to patients waiting to see the doctor after you. There are a limited number of appointments available each day with our GPs that can be booked up to 4 weeks in advance. These do get utilised quickly and we would advise that if you wish to pre book an appointment please do so as soon as possible and try to ring later in the day when the telephones are not as busy, i.e. after 10.00am or book on-line. If you wish to see a doctor of your choice then you may have to wait longer to be seen, for example 2-3 weeks. In order to improve acute access we now have a new appointment system on a Friday. The reason behind this is the need to be able to offer timely support for problems before the weekend. Our hope is that it may also reduce the number of wasted appointments, especially at a time when GP appointments are very valuable. We will have appointments available, which are only bookable on the day, and are not doctor specific. Our GPs will instead see patients on a ‘next available basis’ which should help to reduce waiting times. We would hope that by only seeing acute problems there will be less of a need to see your usual doctor. There will still be some pre-bookable appointments available for the GP at Keyingham. With Patient Access you can now view, book and cancel appointments from wherever you can connect to the internet - either at home, work or on the move. If you are interested please contact reception for further details. When all routine appointments have gone our reception staff will ask if you feel your condition is urgent and ask for brief clinical details. This is so they can identify if your request needs to be forwarded to the on-call doctor for triage. We provide telephone consultations with a doctor as a daily option for all patients. This could be a preferred option for those patients who need to speak to a doctor but do not necessarily need to be seen. We ask that all requests for telephone appointments are made before 11.00am. These appointments are pre-bookable only and are bookable up to 4 weeks in advance. They are intended in the first instance to be an available option for those who find it difficult to get the time out of work during usual surgery hours. If you do turn up without an appointment you will be referred to the out of hours service.